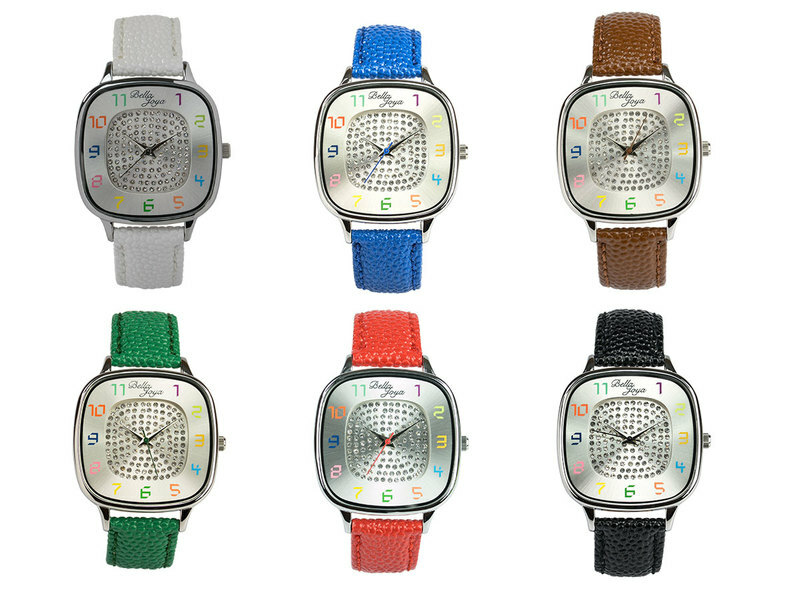 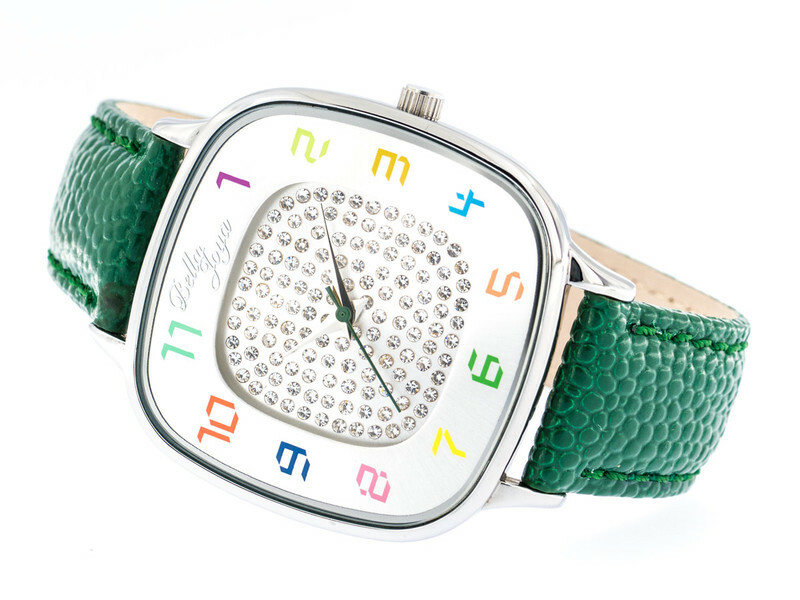 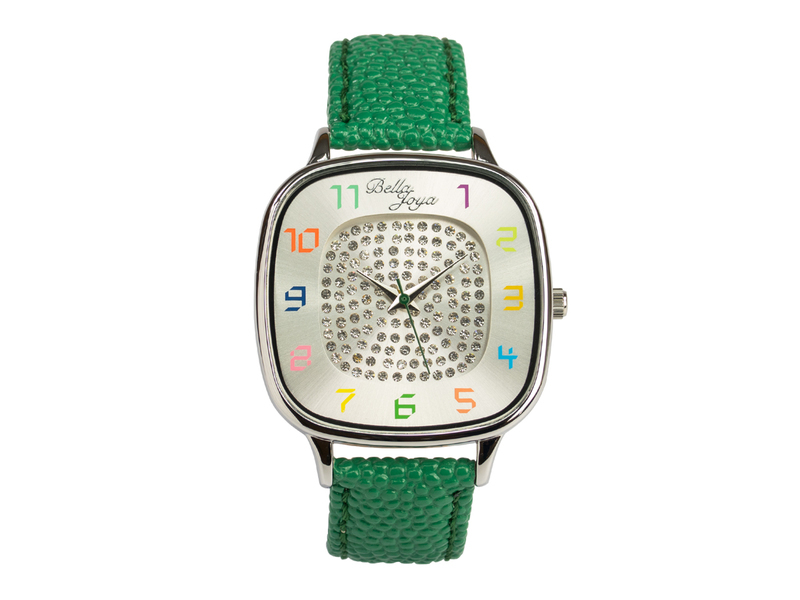 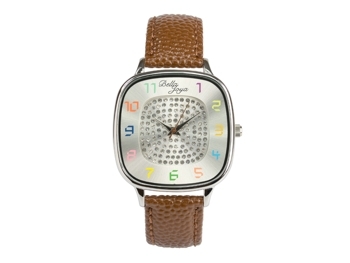 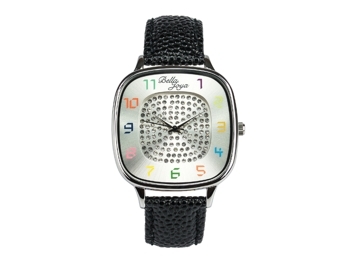 As described in the famous German song text “When the red sun sinks into the sea off the coast of Capri...” also this extraordinary ladies’ watch “CAPRI” from the BELLA JOYA collection presents a spectacular play of colour with its glittering gemstones on the silver dial and markers in all the colours of the rainbow. 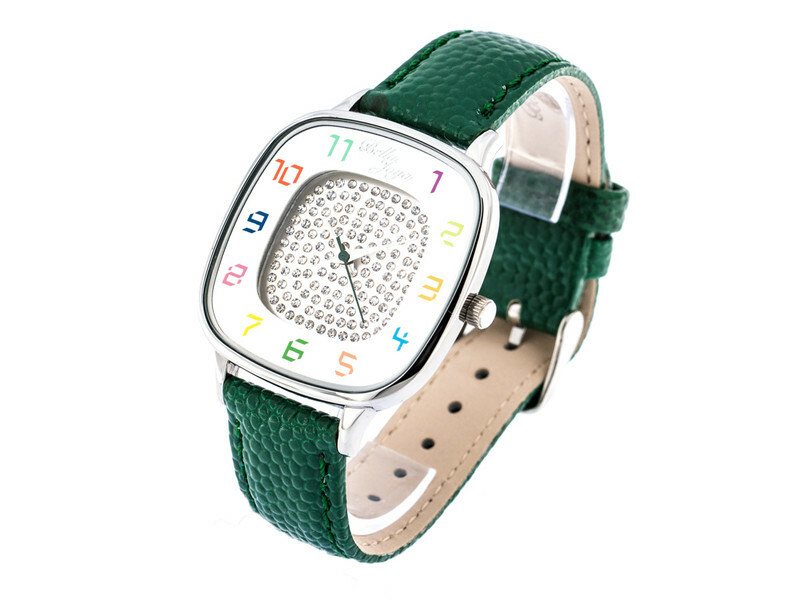 The square watch case with rounded corners emphasises the extravagant look of this high-quality manufactured timepiece in an elegant way. 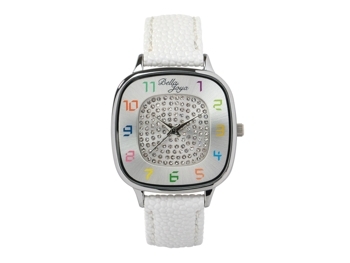 A Japanese MIYOTA quality quartz movement keeps the time precisely. 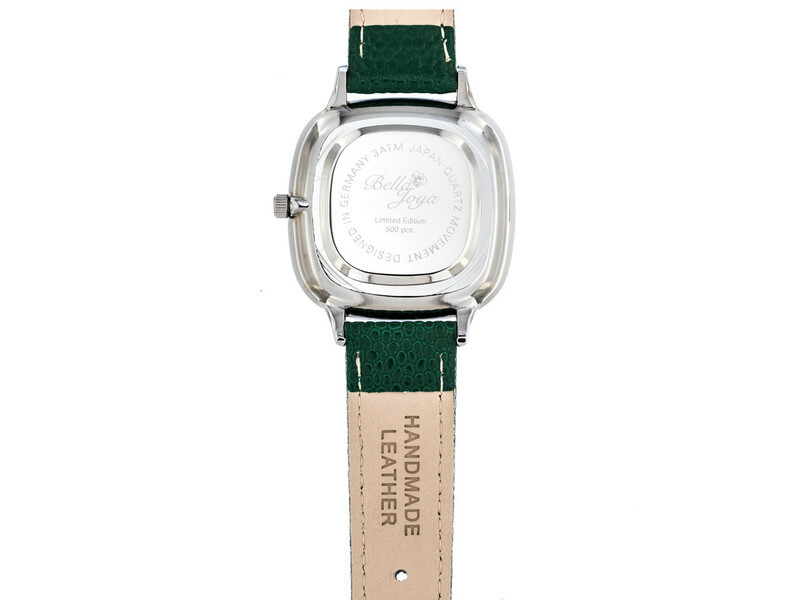 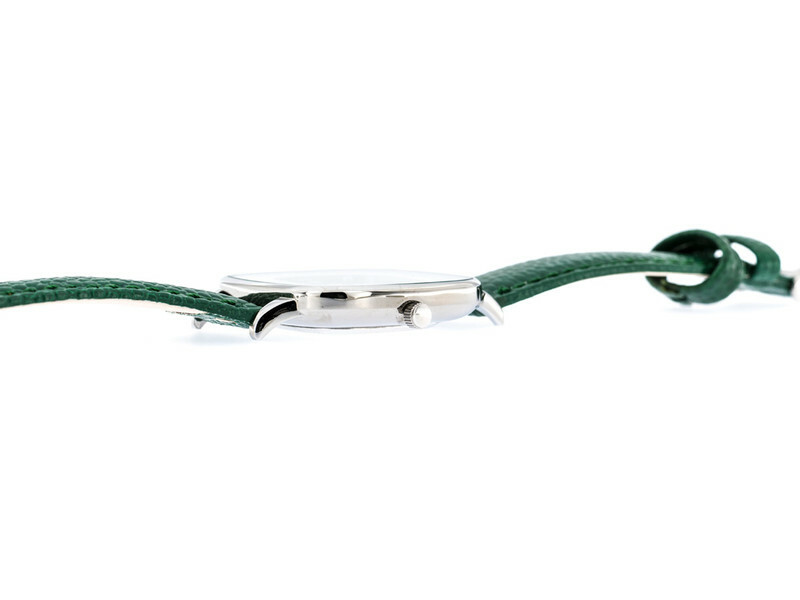 A red, blue, green, brown, black or white strap, handmade of genuine leather and with a structure that looks like the skin of a devil fish, matches the colour of the second hand and ensures wearing comfort on a high level. 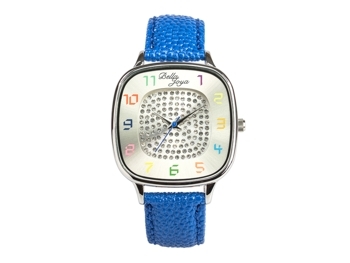 Get enthusiastic about this trendy fashion accessory!